Out of the woods? Not yet. Newspaper error = More hikes for you! I was riding in the elevator at work the other day and a coworker said to me, "I saw you on TV. I guess it was awhile ago... I didn't realize there was a park next to the Zoo." Now defensive, he said, "I'm not from around here." Trying to recover from my rudeness, I said, "The Old Forest is really amazing. You should come on a CPOP hike." I smiled a lot and hoped he didn't think I was a total a-hole. After running this conversation through my mind a bit, I realized that a lot of people don't realize that there's an Old Forest -- or even a Greensward, Rainbow Lake, etc. -- next to the Memphis Zoo. Unless you live in Midtown and like parks, or visit Midtown regularly and like parks, it's likely that most of Overton Park is a mystery to you. That's a problem. People aren't going to stand up and fight for something they don't even know exists! Which is exactly why I think the Old Forest needs its own marketing campaign. All around Overton Park you see nice banners and road signs for the Zoo, the Brooks, MCA, and now the Levitt Shell. I'd like to see a few of those panels dedicated to the Old Forest. As of now there's just a small brown sign with binoculars on it notifying people of a "Wildlife Viewing Area." CPOP is applying for a Community Foundation grant, in order to develop a marketing campaign for the Old Forest. We want everyone to know about this amazing old-growth forest in the heart of our city, so that everyone will have a chance to love and appreciate it like we do. It has been the fashion among great cities to erect a monument in bronze or marble to its founders. Memphis has dedicated to its founder the most unique memorial ever conceived by a grateful people, in the most beautiful woodland park to be found in any American city. 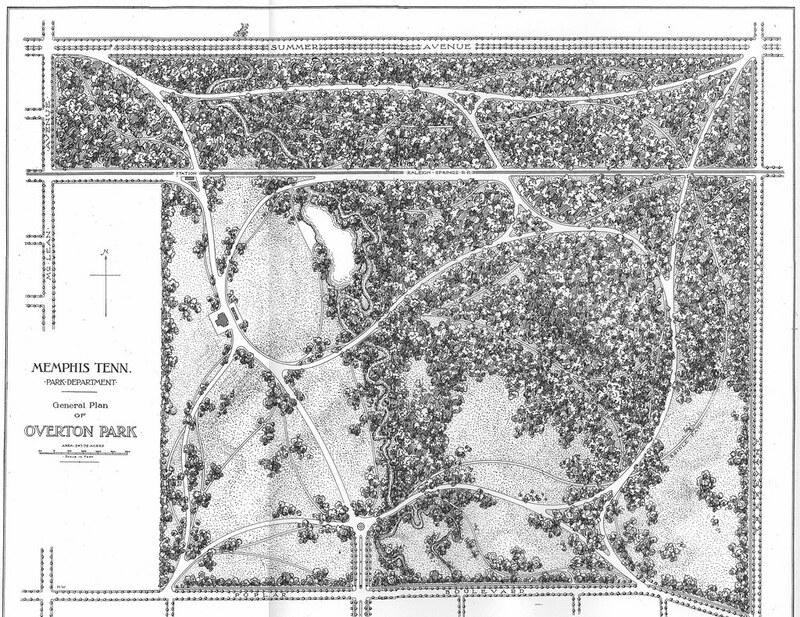 It was purchased from the family of some of his descendants in 1901 and by a popular vote named in his honor, Overton Park. Here in a large part of its bounds nature remains untouched by the hand of man, and giant trees, hoary with age when Overton bought the ground from John Rice in 1794, and which were probably there when De Soto came to the Chickasaw Bluffs, rear their heads on every hand, while underneath them wild flowers bloom in primitive beauty and the children of modern Memphis roam in unrestrained freedom in its shaded walks. A BIG WELCOME to our intrepid new board members -- Lenore Warr, Greg Russell, and Jimmy Ogle! We had a very productive meeting the other night, and now everyone's ready to staff the CPOP booth at the Cooper-Young Festival on September 13. 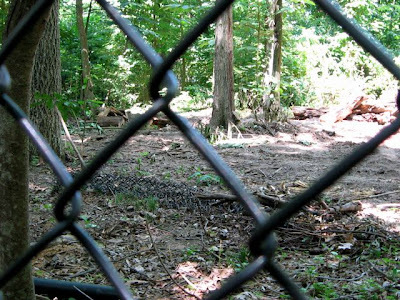 Zoo president Chuck Brady also was quoted as saying that "all zoos have to be protected by fenced barriers," as if the zoo owned the 17 acres of forest in question. In fact, the people of Memphis own the 17 acres. 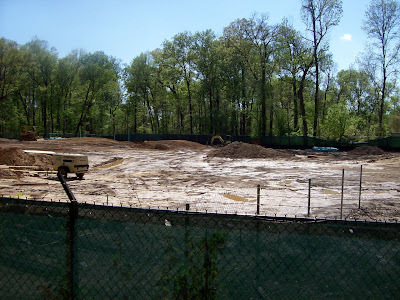 The zoo cut four acres of the forest in a secretive and shameful manner and simply cannot be trusted to care for any part of the forest. After sleeping in until 9:45am, and seeing rain pouring out my window, I wondered if we'd have our hike. I sent Naomi a text message and crawled back into bed. (It's rare day that we get to sleep past 8:00am.) Naomi called a few minutes later. She was obviously at the park and she said, "Rain or shine, baby!" I arrived at Old Forest Lane and found Naomi and chatting with one brave hiker. "We have two more who went to get rain jackets," Naomi said. 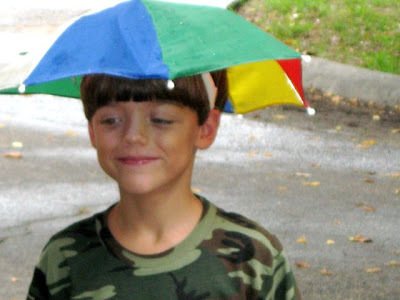 The two soon arrived, not wearing jackets, but umbrella hats! Alex, pictured above, was new to the Old Forest, but seemed to be having a great time right from the start. 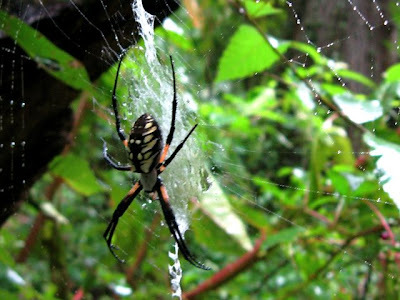 He was especially excited to see this garden spider that Naomi spotted near the golf course. We continued to see lots and lots of spiders--the raindrops made their webs more noticeable--but the highlight of the hike turned out to be finding paw paws at every turn. They were everywhere! The whole forest smelled like them and it was wonderful. Again, I think the rain and clouds somehow made them easier to spot and after awhile I felt like I was on an Easter Egg hunt. Alex ate 600, maybe more, and I ate at least 300 myself. Along the way, Naomi pointed out lots of new species she learned from the botanist who recently started a survey of the forest. 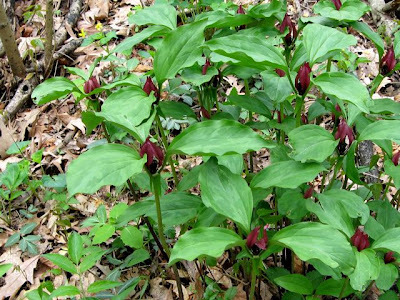 Wild ginger, bear claw, and about a million more that I've already forgotten. 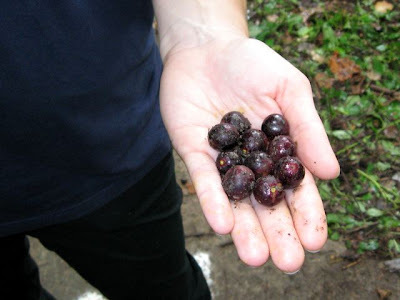 Near the end of our hike, Alex and I, who were apparently still hungry, were very excited to see a multitude of edible muscadine grapes flanking the trail. Had Naomi not been there, I might have never thought to try one, but she assured us that they were safe. If you haven't been on a CPOP hike yet, I highly recommend it! 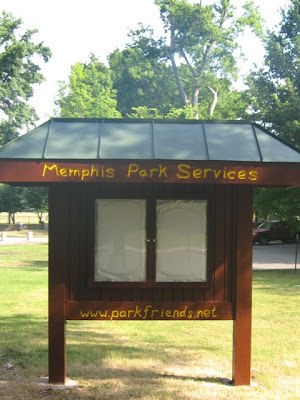 Sorry for the short notice on this one, but Park Friends Inc. just sent out an invitation to join them at 9:00am tomorrow morning (Saturday) for a press event to unveil the new informational kiosks at Overton Park. The event will take place at the kiosk west of the East Parkway pavilion. 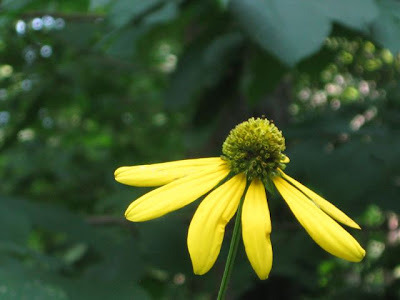 And remember that our next CPOP nature hike will be this Sunday at 10:00am. As always, we meet at the east end of Old Forest Lane, next to the Rainbow Lake parking area. Kids are welcome and we hike rain or shine. 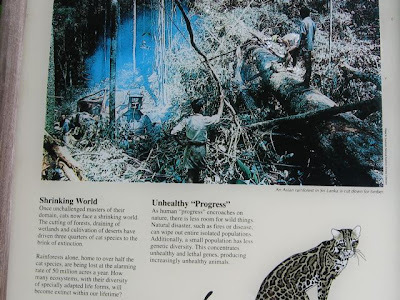 Two weeks ago I snapped a few photos of the construction site formerly known as old-growth forest so I could give y'all an update on the "progress" of the Teton Trek exhibit. Apparently, my protective subconscious forgot to post them. It's just such a bummer, dudes -- you know? 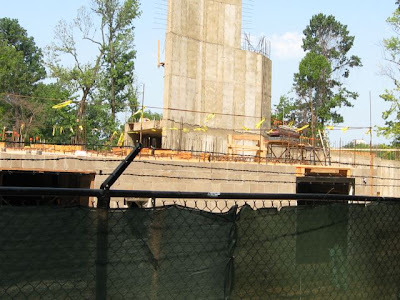 This first pic was taken at the construction entrance looking west along a narrow corridor that runs between Sam Cooper and Galloway. If you've lived in Memphis awhile, you know this as "the old bus lane" and/or "the old trolley line" and/or "the old Raleigh Springs Railroad line." We know this corridor as our line in the sand. Back in the 1950s, the 300-foot right of way for Interstate 40 was supposed to bisect Overton Park along this same corridor, until a pesky little citizen's group decided they had a right to be angry that public parkland was about to be destroyed without any public input. Notice the dense forest on the left/south side of our line in the sand? 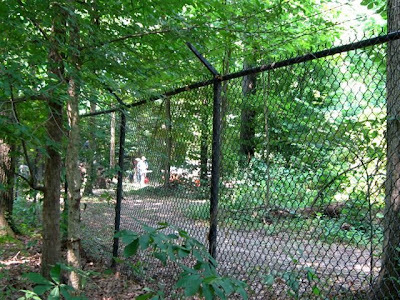 That's the northern edge of the 17 surviving acres of old-growth forest inside the Memphis Zoo's fence. Maybe you've heard, we want those 17 acres back. Notice the line of trees on the right/north side of that photo? Those are a dozen of the 78 trees that the Memphis Zoo tied yellow ribbons around so the bulldozers wouldn't level 'em along with four acres of old-growth forest. Most of the Lucky 78 are located along fence lines, where they won't get in the way of it's-called-progress. I like this crane. But only because she's named Lorain. The 45-foot-tall red-iron building in the background is "replicated after the Old Faithful Lodge in Yellowstone National Park," according to the Memphis Zoo's newly updated Teton Trek page. I'm pretty sure that the gaping maws that line this concrete building are not actually intended to evoke the U-Boat pens at Lorient, as my husband suggests. They aren't quite big enough. Finally, we're confronted with a massive and ever-growing erection that I couldn't even fit in my camera lens. You can draw your own conclusions. I try to think of it as a cenotaph in memory of four acres of fallen forest. It's our job to make sure that forest didn't die in vain. 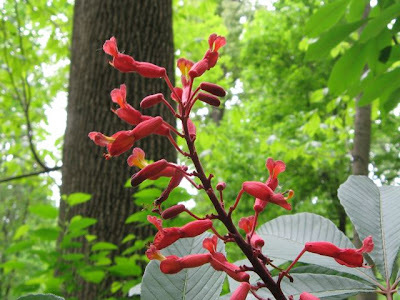 As of last week, 300 souls are supporting our effort to protect the surviving old-growth forest of Overton Park. We love you all! If you want to lend your support, please email Amy with your contact info. We don't share our mailing list with anyone else. If you're already a supporter, be sure to let your friends and neighbors know about CPOP! And if you gave us your email address on a CPOP nature hike but did not receive a thank-you message, that means we failed to interpret your handwriting -- please email your info so we can keep in touch. We will have a booth at the Cooper-Young Festival on September 13, so we're gearing up to print CPOP shirts (hooray!) and more stickers. If you would like to help fund our community outreach efforts, any donation will be greatly appreciated. You can write a check to "Citizens to Preserve Overton Park" and mail to 447 N. Avalon, Memphis, 38112, or you can donate securely online via PayPal or credit card by clicking the handy DONATE button on our sidebar. Many thanks to everyone who has already given money and moral support to CPOP! We could not do this without you. 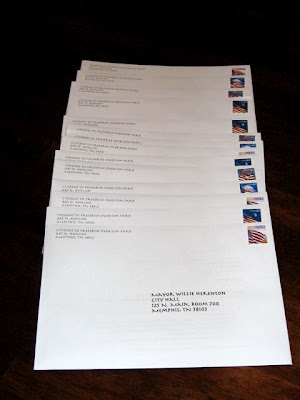 Following up on last week's presentation to the Parks Committee of the Memphis City Council, we mailed a letter to all members of the City Council and Mayor Herenton. Click on each page to biggify. Check out this week's Memphis Flyer cover story for a comprehensive look at the controversy surrounding the Memphis Zoo's expansion into Overton Park. The online version is missing the ending, but hopefully the Flyer will correct that soon. UPDATE: The whole article is up now. Hooooo boy. 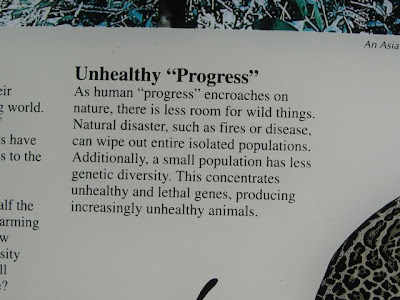 I don't even know where to begin deconstructing the astounding hypocrisy of this Cat Country interpretive sign. It's like shooting leopards in a barrel. Q. What's the most dangerous animal in the world? "How many ecosystems, with their diversity of specially adapted life forms, will become extinct within our lifetime?" Will you look at this crazy hippie treehugging propaganda? Thank goodness we have Councilwoman Ware to remind us that clearcuts equal progress. God, I love the smell of chainsaws in the morning. 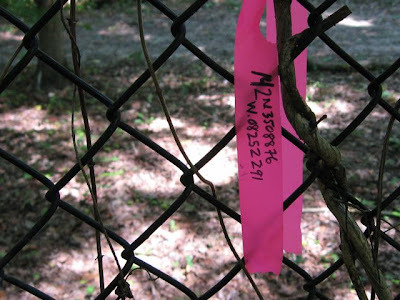 What does it mean when you see pink ribbons hanging on a fence? 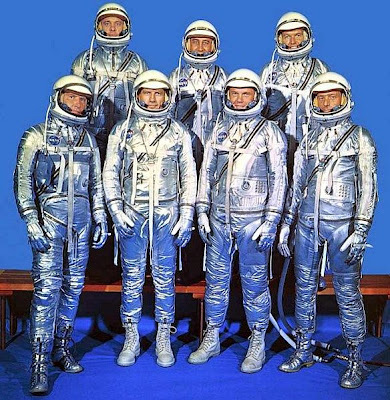 In this case, it means that the Memphis Zoo is rocketing ahead full speed on their secret plan for the Chickasaw Bluffs exhibit. 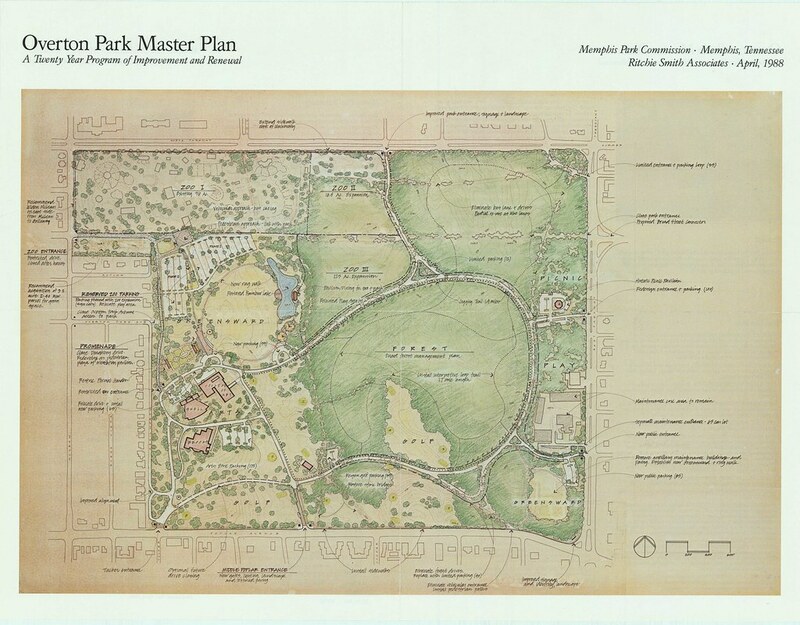 It means the Memphis Zoo is about to develop another 17 acres of our public parkland without asking for any input from citizens, the City Council, or Park Services. You know that old saying about asking permission vs. begging forgiveness? So far, the leaders of the Zoo have enjoyed the best of both worlds. They don't have to ask permission or beg forgiveness. Their job is to feed us the gruel, and our job is to like it. I don't like it anymore. 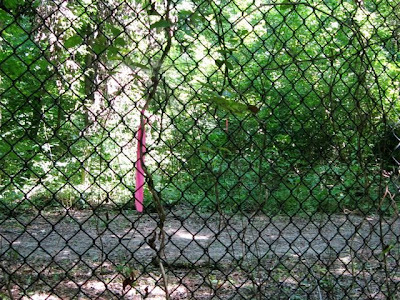 UPDATE, AUGUST 13: The Memphis Zoo has posted their explanation of the pink flagging on the Chickasaw Bluffs exhibit status page. The Zoo says the completed exhibit plan will receive "city approval" before it's actually built -- just like the Teton Clearcut received city approval, Mr. Brady? -- but fails to mention any opportunity for public involvement in the planning or design process. Sounds like more of the same old gruel to me. We care so much about the vanishing wildlife habitat of China that we're happy to spend millions of our tax dollars to bring two pandas to Memphis, encourage those pandas to make little panda babies, and fund the Chinese government's efforts to preserve and restore forests that most of us will never see. That's noble and selfless, right? But at the very same time, we ignore and disparage and even clearcut the vanishing old-growth forest in our own backyard. And how do we explain that? 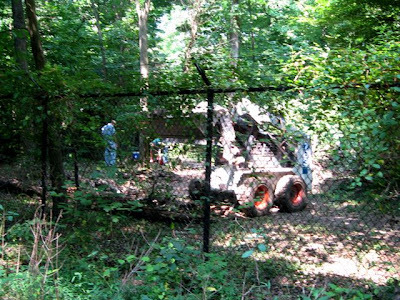 Is it because the Old Forest of Overton Park is home to animals like barred owls and chipmunks and skinks and wrens, instead of pandas and tigers and elephants and bears? Is it because we're talking about a forest in our own backyard, and we assume that our own backyard has nothing new to teach us? Seen one tree, seen 'em all? Our daily newspaper has printed several well-balanced editorials about the Memphis Zoo's encroachment into the Old Forest. Each one has mentioned the "139 trees" that the Zoo cut to make way for the Teton Trek exhibit. Almost every news story on this issue has used the word "trees" interchangeably with the word "forest." For many city dwellers, the difference between "forest" and "trees" is negligible. 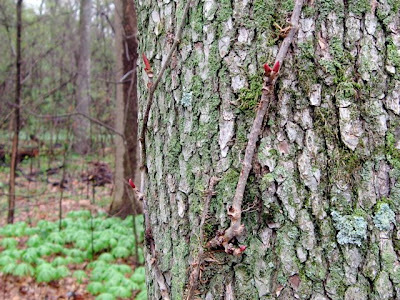 A tree is the tall leafy plant that shades your yard and drips sap on your car, and a forest is just more of the same. If you're a nature geek like me, a tree is the tall leafy Fraxinus pennsylvanica that shades my yard and drips sap on my car. But a forest? A forest is a wonderland. And an old-growth forest is heaven come down to earth. The Old Forest of Overton Park is a complex and ever-changing system of thousands of plant and animal species that far outstrips the collection of any zoo in the world. 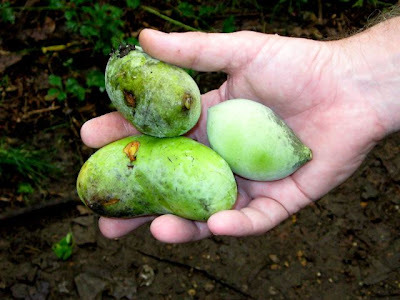 Overton Park's surviving forest has never been cleared or farmed. This land has been forested ever since the last ice age retreated, about 10,000 years ago, and is one of the last remnants of a vast ecosystem that once blanketed the Chickasaw Bluffs. That's not my opinion; it's just the facts. We've talked about our flawed tree ordinance before, but it bears repeating. When the forest now known as Teton Trek was being cleared, the Zoo cut 139 trees that were 10 inches DBH (diameter at breast height) or larger. Our tree ordinance says that trees smaller than 10 inches DBH do not "exist" for the purposes of the ordinance. 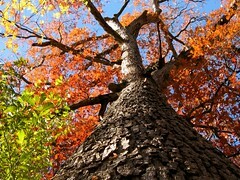 This means that the Memphis Zoo cut 139 trees that were 10 inches DBH or larger. But this also means that the Memphis Zoo cut thousands of smaller trees. Some of these were understory trees that rarely grow bigger than 10 inches DBH, like pawpaws and hop hornbeams and dogwoods. Some of these were canopy tree saplings, oak and tulip poplar and hickory and ash, waiting for their chance to replace a fallen 200-year-old giant. The Memphis Zoo also destroyed thousands of shrubs and herbaceous plants. 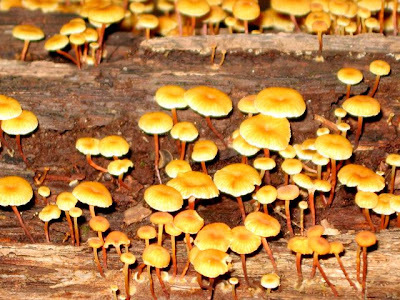 These bottom layers of a forest understory, the part most people know as "undergrowth," contain the majority of plant species that grow in the Old Forest. This undergrowth is also vital habitat for most of our forest's animal species. 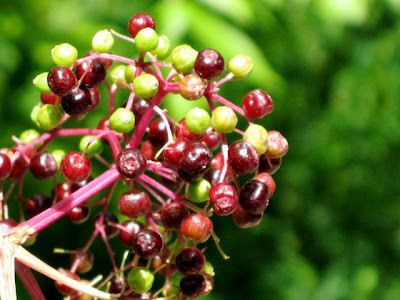 Let me take a moment to name a few of the vines, shrubs, and herbaceous plants that I saw on this morning's hike: spicebush, wild hydrangea, river cane, Solomon's seal, Virginia creeper, poison ivy, pipevine, trumpet creeper, wild grape, jumpseed, wild ginger, greenbriar, poke salad, jewelweed, elderberry, river oats, black snakeroot, cutleaf coneflower, tall bellflower, false nettle... and I'm not even a botanist. 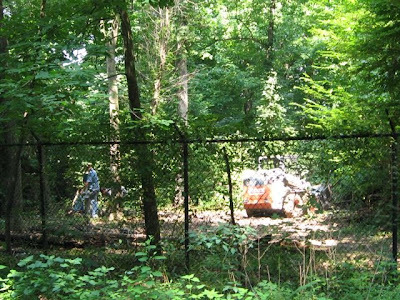 Back in early May, we reported on the Memphis Zoo's destruction of forest understory inside their 17-acre DMZ. In early July, the Zoo fired up the weed-whackers. 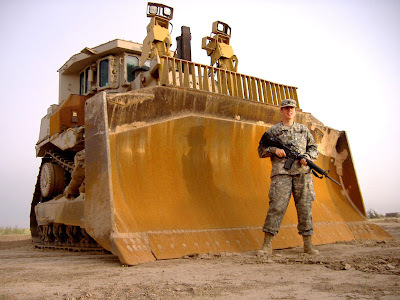 Last week, they escalated to heavy equipment and chainsaws. 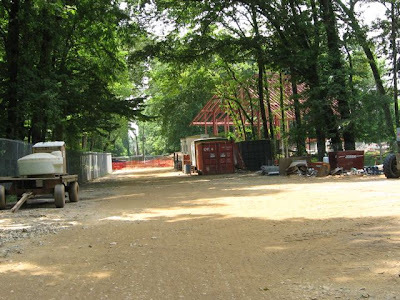 The Memphis Zoo is destroying a forest understory that took thousands of years to develop. Why is the Zoo wasting our hard-earned money (remember that the City of Memphis paid for that gas and bought those chainsaws) in order to do -- what, exactly? Gnash their terrible teeth? Roar their terrible roars? Show their terrible claws? Surely it would be cheaper and easier to just pee on the fence? 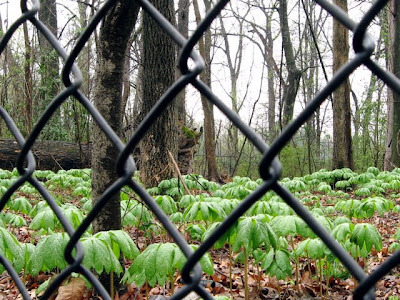 Do you think those mayapples are coming back next spring? A forest deprived of the ability to regenerate itself is no longer a forest. A forest without its understory is just a collection of trees. Trees are big and beautiful, sure, but it's the little things that matter most. Trees cannot grow without the unseen but constant work of millions of small and ugly creatures. Next time you're in the Old Forest, take a look at a rotting log and count the different types of lichen and fungi, all hard at work, decomposing. It'll amaze you. Now try to picture the thousands of beetles and termites and other insects that are busily tunneling inside that log, slowly turning a dead tree into fertile loam that will nourish the next generation of seedlings. Imagine the earthworms beneath your feet, a million worms per acre, munching debris and churning dirt. Look up into the leafy canopy above your head and consider the 200+ species of birds that thrive on the seeds, berries, and bugs that this forest produces. Think about the bats and flying squirrels, the garter snakes and box turtles, the toads and frogs. Think about the generations of humans who have walked these forest paths before you. Think about the little things. 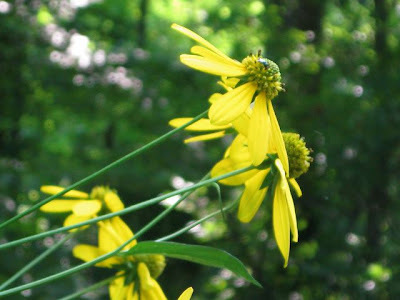 If you'd like to experience Overton Park's nature trails for yourself, join us for a free guided hike tomorrow, August 9, at 10:00am. Meet at the end of Old Forest Lane, next to the Rainbow Lake parking lot, for a 1.5-mile walk through the Old Forest at Overton Park. Kids are welcome! It's shady in the forest and our pace is leisurely, but it's also midsummer in Memphis, so please bring a water bottle or hydrate yourself before you hike. Email Naomi if you have any questions. The Memphis Zoo took a public relations punch when it felled 139 trees a few months ago to make way for the new $13.5 million Teton Trek exhibit on the zoo's eastern edge. There's no question it's considered one of the top zoos in the country. TripAdvisor, a Web site that features travelers' advice, confirmed that this week. 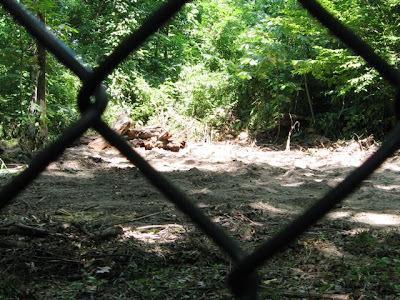 But destroying trees that were believed to be part of Overton Park's fabled Old Forest made zoo officials look secretive, presumptuous and environmentally uncaring, even if the exhibit has been part of a master plan. 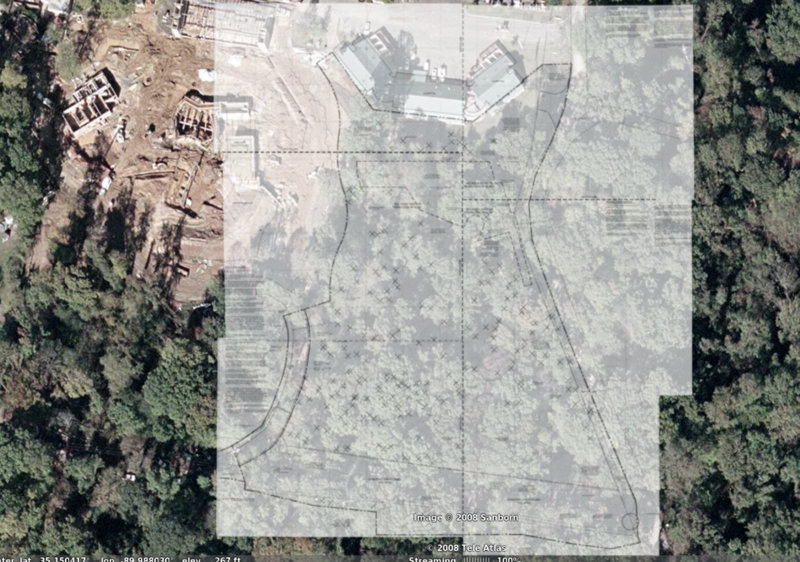 Now the zoo is planning to build a woodlands exhibit named after the Chickasaw Bluffs through the 17 acres of fenced-off forest east of Rainbow Lake. The area was fenced years ago, with city government permission, and has been held in reserve. The plan has some merit, but here's a chance to repair some of the damage from Teton Trek: Find out what the public wants done with that land. 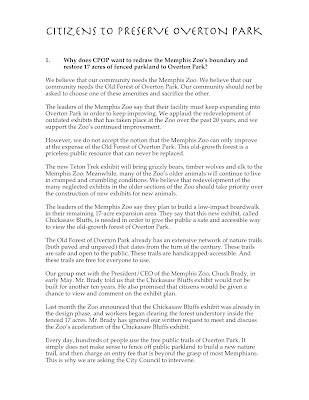 The zoo could help dispel the notion that it doesn't care about Overton Park and its natural environment by seeking public comment on whether to develop its planned new forest exhibit or tear down the fence and let the public in. That 17 acres could be used to expand the amount of forest that can be accessed by pedestrians by way of a system of winding trails, one of Overton Park's most popular amenities. On the other hand, a valid argument can be made for the zoo's plan to build boardwalks through the 17 acres and make the area accessible from the zoo. The sad fact is that some people are not comfortable walking the trails of Overton Park, especially when they're alone. The park at most hours of the day has a fair amount of foot and bicycle traffic, but especially on the interior trails it's easy to find yourself isolated. For these individuals, the construction of a boardwalk inside the fence and accessible from the zoo would offer a chance to enjoy a section of the park they've been too afraid to venture into before. Either way, the zoo can make new friends by leading an open and candid discussion of its future, using its 20-year-old master plan as a foundation but showing a willingness to alter it if that's what the public wants. A little transparency goes a long way. 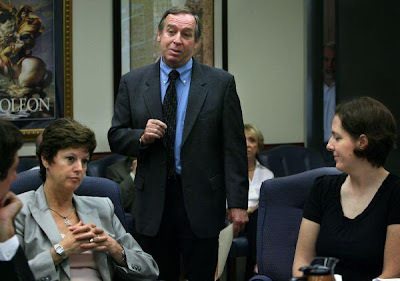 Wanna hear what happened at the Memphis City Council Parks Committee meeting on Tuesday? Of course you do! Please note that this is my personal account, not a verbatim report. But you can listen to the whole 31-minute shebang online, thanks to the Memphis City Council archives. You can also try to decipher the minutes. It may help to know that the members of the Parks Committee are: Jim Strickland (chair), Wanda Halbert (vice chair), Bill Boyd, Edmund Ford Jr., Reid Hedgepeth, and Myron Lowery. Six of our supporters attended the meeting, so if you were there and want to add your observations in the comment section, please do. The Memphis Zoo was represented by President/CEO Chuck Brady, Board Chair Carol Prentiss, and Zoo Spokesmodel Brian Carter. When it was CPOP's turn on the agenda, Councilman Strickland graciously offered me a seat at the table. Memphis Parks Director Cindy Buchanan was also asked to the table. The other council members present were Bill Boyd, Barbara Swearengen Ware, Edmund Ford Jr., Wanda Halbert, and Reid Hedgepeth. Councilman Ford left the room at some point, and Councilwoman Janis Fullilove entered at some point. After I finished our presentation, several council members spoke. Chairman Strickland said that the Zoo's plan for the 17 acres is to build a boardwalk similar to The Nature Conservancy boardwalk in Rossville, and he pointed out that I worked on that project. I said something like: a boardwalk is not a terrible idea, per se, but we have serious concerns about the Zoo building any more exhibits in our forest given what happened last time. I also said that the Rossville nature trail had to be a boardwalk because it crosses a cypress-tupelo swamp. Councilman Hedgepeth took the time to explain that the Teton Trek exhibit will represent a "savanna-type habitat," therefore it was necessary for the Zoo to remove the forest because "you can't have trees in a savanna." Thanks for clearing that up, Councilman. Roy told me afterward, "Well, thank goodness they aren't building a Moon exhibit. Then it couldn't even have an atmosphere!" Councilwoman Ware, who is not a member of the Parks Committee, told us that Memphis is the "laughingstock of the whole country" because we failed to build Interstate 40 through Overton Park. She said that the Memphis Zoo's continued expansion into our park is necessary -- "It's called progress!" -- and asked, "How many people walk through the woods?" I assumed she was asking me, so I started to invite her to join us for a nature hike. But she cut me off, saying, "Obviously that was a rhetorical question." Councilwoman Ware concluded by telling us that if we don't allow the Zoo to keep expanding into our park, "we might just as well have the interstate." My silly little April Fool's joke is starting to look more and more like a prophecy. Councilwoman Wanda Halbert noted a parallel between the behavior of the notoriously secretive Riverfront Development Corporation and the behavior of the Memphis Zoo, as John Branston also noted last month. She spoke up for the rights of citizens, saying that council members should be concerned whenever a citizen group asserts that public decisions are being made without public input. Thank you, Councilwoman Halbert, for taking us seriously. Finally, our friend and admirer Chuck Brady was given the opportunity to respond to our presentation. He stated that every new exhibit ever built at the Memphis Zoo has been approved by the City Council, with public involvement. Help me out here, Mr. Brady. When was the public given a chance to comment on your plans for Teton Trek? And for that matter, when did you ask the City Council for their approval? 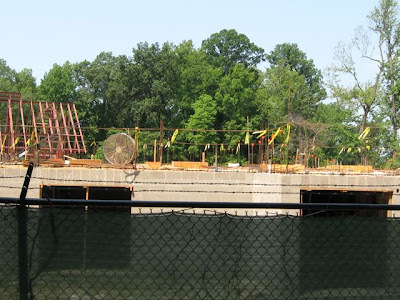 In August, 2004, the City Council appropriated $225,000 for maintenance at the Memphis Zoo and $1,250,000 for construction of the Northwest Passage exhibit. In August, 2006, the City Council appropriated $1,000,000 for construction of the Northwest Passage exhibit. In December, 2007, the City Council heard a 2006 audit report on the Memphis Zoo and appropriated $250,000 for maintenance. 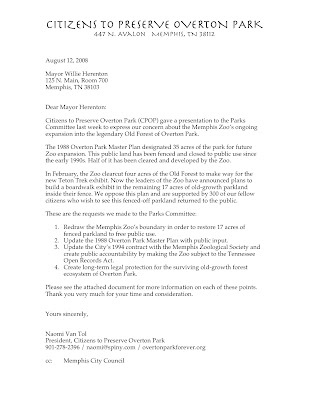 I also hunted through the City Council's monthly archives for January and February of 2008, looking for any reference to the Memphis Zoo or Teton Trek, and found nothing. The Teton Trek clearcut was finished by the end of February. Now, I'm not saying that Mr. Brady lied to the City Council. Or even that he's spreading "misinformation," as he accused me of doing because I used the word clearcut to describe a clearcut. I'm just asking two simple questions, that's all. 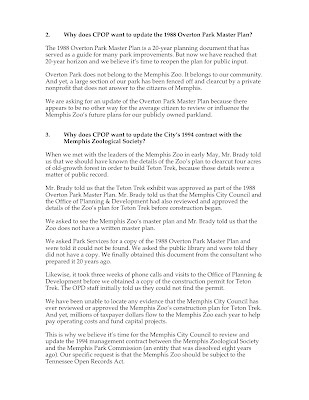 When did the Memphis Zoo allow any public involvement in the planning process for the Teton Trek exhibit? When did the City Council approve the Teton Trek exhibit? Wait, I just thought of two more questions! 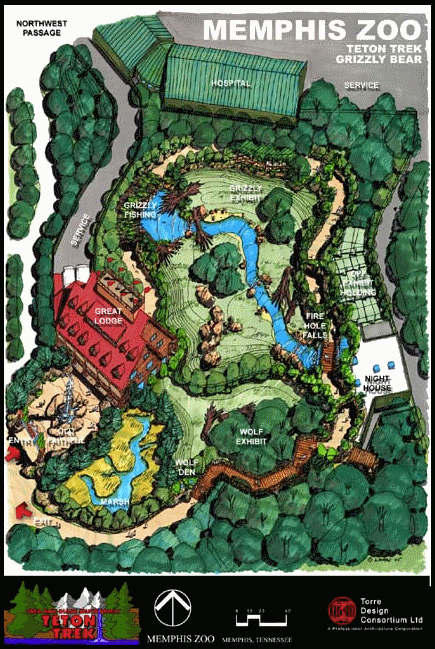 When is the Memphis Zoo going to allow any public involvement in the planning process for the Chickasaw Bluffs exhibit? 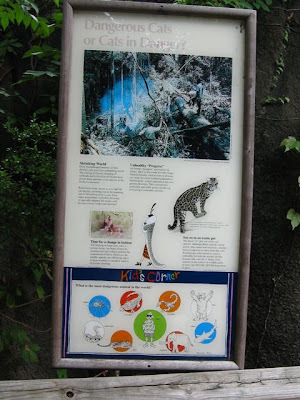 When is the Memphis Zoo going to ask the City Council to approve the Chickasaw Bluffs exhibit? Okay, I guess that about covers it. Because we're all such crazy fans of sunshine and accountability and whatnot, I've converted our City Council presentation so y'all can see exactly what we said. If I didn't have a precocious two-year-old nipping at my knees, I could have finished this before yesterday's meeting so everyone could follow along at home. Sorry about that! I had to jimmy my notes into the slides as separate text boxes, so please excuse any resulting awkwardness and eye-strain. 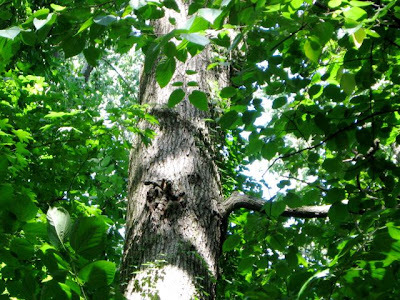 The battle for what's best for the old-growth forest at Overton Park moved to City Hall on Tuesday as a representative from a citizen's advocacy group made a pitch for more oversight. 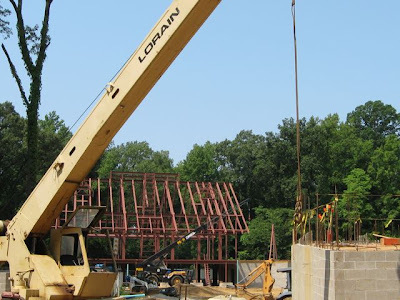 Work continues on Teton Trek, the Memphis Zoo's next exhibit that is being built in a section of old-growth forest in Overton Park. 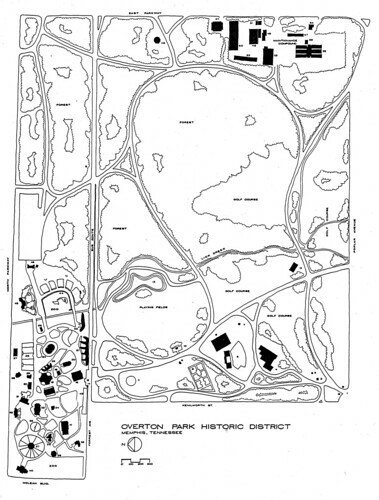 The zoo's decision to expand into the forest has been criticized by several groups, including Citizens to Preserve Overton Park. Naomi Van Tol, co-founder of Citizens to Preserve Overton Park gave a presentation to the parks committee of the Memphis City Council, asking for the return of 17 acres of forest now set aside for the Memphis Zoo's Chickasaw Bluffs exhibit, a boardwalk through the forest. 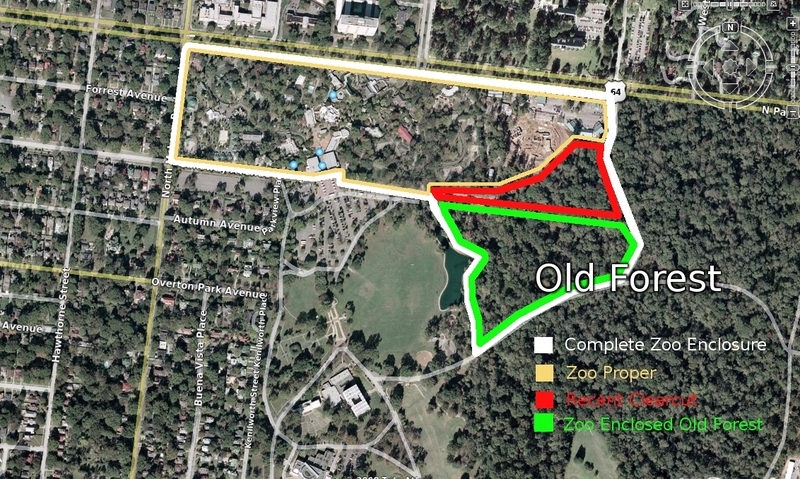 Her group also wants more public input on zoo projects, an update of its 20-year-old master plan and some form of legal preservation of the remaining 150 acres of old forest at the park. "We believe that up to this point nobody has been speaking for the forest," Van Tol said. Meanwhile, Chuck Brady, the zoo's CEO, defended the zoo's expansion plans and how it has followed the master plan. Brady contends the zoo's operation is open and transparent. "Every project we have ever done has gotten city approval," he said. Chickasaw Bluffs will incorporate boardwalks through the 17 acres of forest, making the forest itself the exhibit. Van Tol said they would rather see that kind of exhibit done by park services, making it free for everyone. 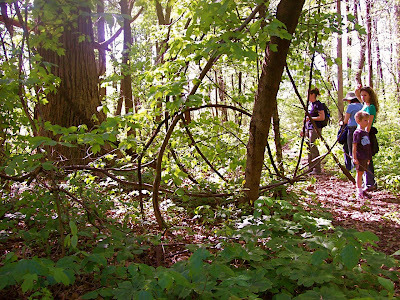 Her group hosts twice monthly hikes on Saturdays in the old-growth forest. But Brady said with 850,000 to 1 million visitors a year, the number-one reason people come to Overton Park is the zoo, and the Chickasaw Bluffs exhibit will bring those people into the forest. The zoo soon will begin the next 10-year master plan, which will include updating old exhibits, he said. However, Cindy Buchanan, director of park services, advised the new master plan will cost $100,000 to $200,000 and should wait until projects from the current plan are finished. While some committee members thought there should be citizen input into zoo plans, others expressed confidence in how the zoo is being expanded. "I don't want any group ever coming and expressing the sentiments that they felt they've been left out of city business," said Councilwoman Wanda Halbert. Councilwoman Barbara Swearengen Ware called what the zoo is doing progress. "If it doesn't expand and add new amenities, you might as well have the interstate," she said. We're all catching up on neglected work and errands today, but we will post thoughts on yesterday's Parks Committee meeting as soon as possible. Thanks to those of you who attended. It was great to see so many friendly faces! Media roundup: Eyewitness News and Channel 5 both ran stories, and we made the front page of Local News at the Commercial Appeal. 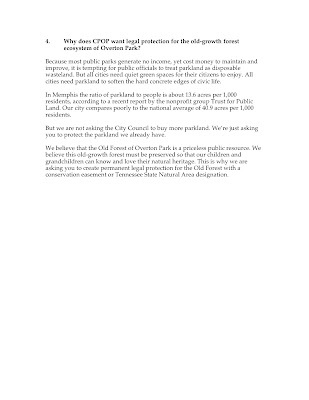 On behalf of CPOP's board and supporters, I want to officially thank the Memphis City Council Parks Committee for allowing us to introduce our concerns to the City Council. Five people showed up for this morning's nature walk (on a day's notice!) and we had a lovely stroll in the woods despite the 101-degree heat. You already know that everything is cooler in the green cathedral. Not a whole hell of a lot cooler, true, but leafy shade makes all the difference in the world. And I finally managed to take a few photos of this gorgeous trailside bloomer. 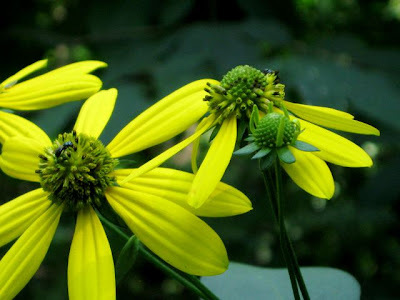 I'm guessing this is a Cutleaf Coneflower, aka Rudbeckia laciniata. But my favorite wildflower guidebook is recovering from a dunk in the toilet, courtesy of toddler angst, so I'm not sure. Unfortunately, the normal peace and quiet of the Old Forest was being oh-so-rudely broken -- continuously from the time I arrived at 9:45 until I left at 11:45 -- by five representatives of the Memphis Zoo armed with a hefty stack of Stihl chainsaws and a busy little Bobcat. It looks like the first Saturday of the month is getting to be prime time for the Memphis Zoo Perimeter Patrol and their obnoxious machinery. Back in July, it was just ATVs and weed-whackers. Now we get chainsaws and heavy equipment. What delightful treat do you have in store for us next month, Mr. Brady? One of the Zoo's chainsaw artistes was taking a breather near the fence, so I asked, "What are y'all doing in there?" "Just cleanin' things up," he said. Today's Daily News story mistakenly said that we've got a nature hike planned for tomorrow morning -- Saturday, August 2 -- so we'll just go ahead and do that. If you'd like to join us, meet at 10am next to the Rainbow Lake parking lot! 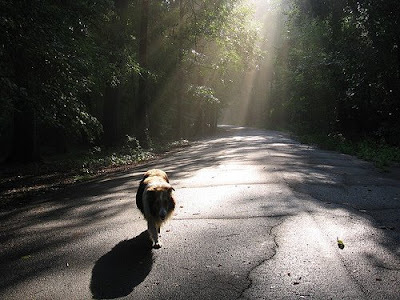 Meet at the end of Old Forest Lane, next to the Rainbow Lake parking lot, for a free guided 1.5-mile walk through the Old Forest at Overton Park. Kids are welcome! It's nice and shady in the Old Forest and our pace is leisurely, but it's also midsummer in Memphis, so please bring a water bottle or hydrate yourself before you hike. Email Naomi if you have any questions. It’s been a little more than two months since they had a private meeting with top brass from the Memphis Zoo to talk about the fate of Overton Park’s old-growth forest. Next week, representatives from Citizens to Preserve Overton Park will take their message into another important venue. The supporters of the grassroots band of park activists will give an overview of their preservation fight to the Memphis City Council during its parks committee meeting Tuesday. The group was asked to speak at the request of council member Jim Strickland, who has been working behind the scenes to give the group a helping hand in its park preservation effort. Meanwhile, anyone who wants to see first hand the subject of the group’s effort can gather Saturday at the end of Old Forest Lane, next to the Rainbow Lake parking lot, for one of the regular monthly nature hikes through the park hosted by Naomi Van Tol. She’s one of three mothers who incorporated CPOP in March. Saturday’s hike will take place from 10 a.m. to 11:30 a.m.
Van Tol bristles at the irony of possibly clearing forest acreage to build a forest trail. “We believe that the Zoo’s (earlier) decision to clear cut 4 acres of publicly owned old-growth forest to make way for the Teton Trek exhibit was a betrayal of the public trust,” Van Tol wrote. In written correspondence with the group, Brady said the Chickasaw Bluffs project will consist of a “simple, raised boardwalk” that will guide zoo visitors through the 17 acres of old-growth forest. That letter to CPOP, dated July 2, came in the wake of the group’s meeting with zoo officials in May to air some of its members’ concerns. Strickland was among those in attendance at that meeting. Van Tol said CPOP was told in May that the exhibit would not be built for about 10 years. But the group found out recently that the timetable apparently has been sped up. The exhibit already is in the preliminary design phase, Brady said. The bottom line for Van Tol and the rest of CPOP is that the 17 acres are public land.